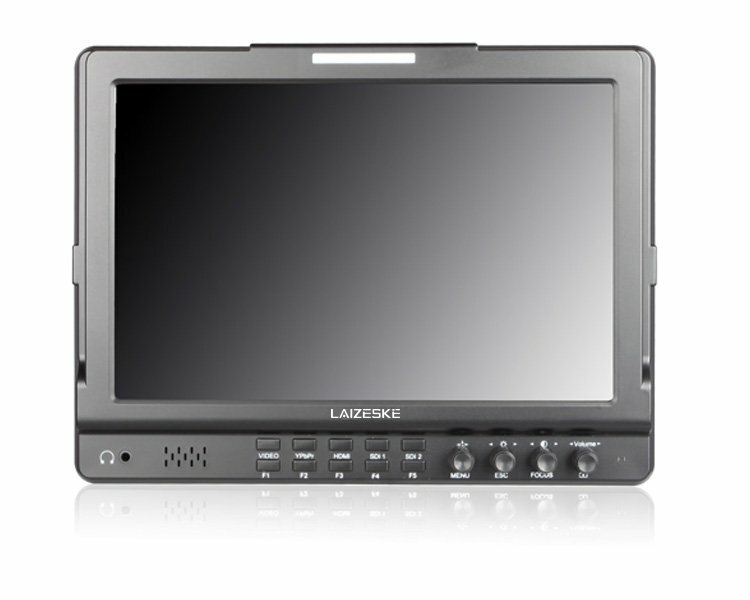 The 10.1″ IPS 1280 x 800 Dual Switch 3G-SDI Camera-Top Monitor from Laizeske features waveform, vectorscope, RGB histogram, false color, and peaking focus assist. 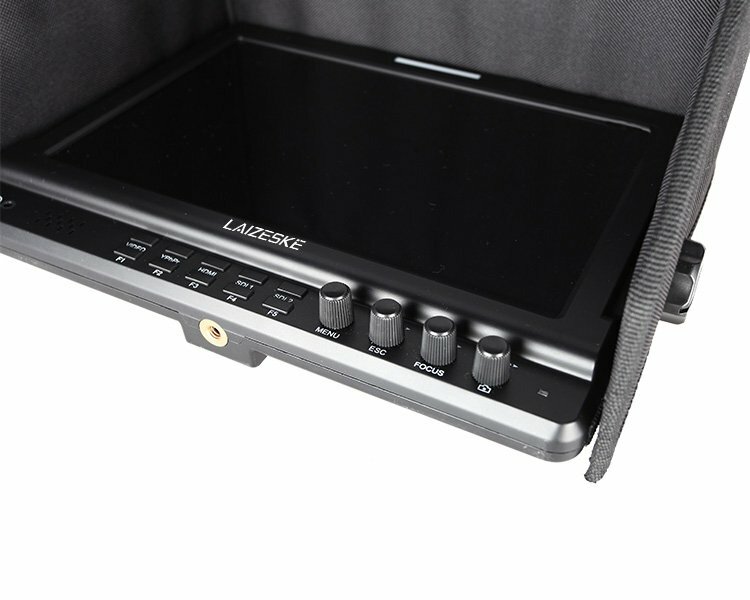 It comes with HDMI input, dual 3G-SDI input/output, and headphone audio output. The customized function buttons can be tailored for your workflow and optimization. 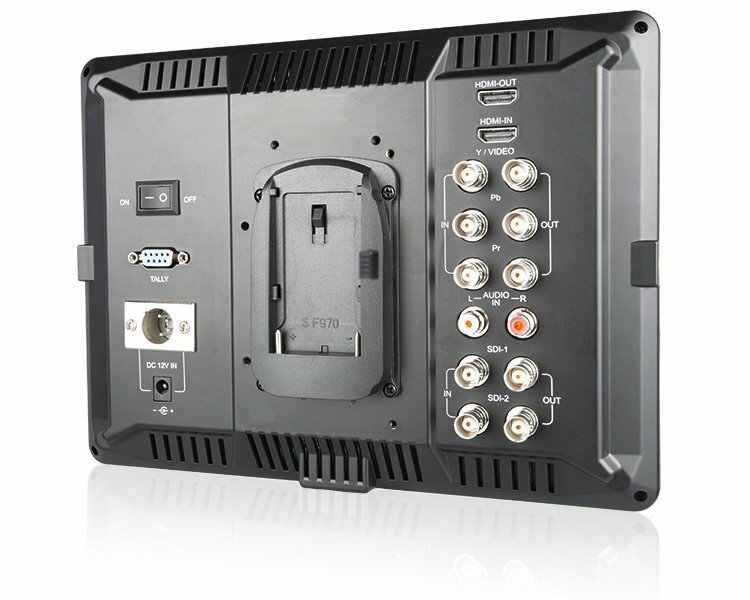 The IPS panel provides a 178°/178° viewing angle and brightness output of up to 650cd/m2. The monitor has five function keys for waveform, vectorcope, color histogram, peaking focus, and more. It also has three group user presets that reserve the knob for professional users. 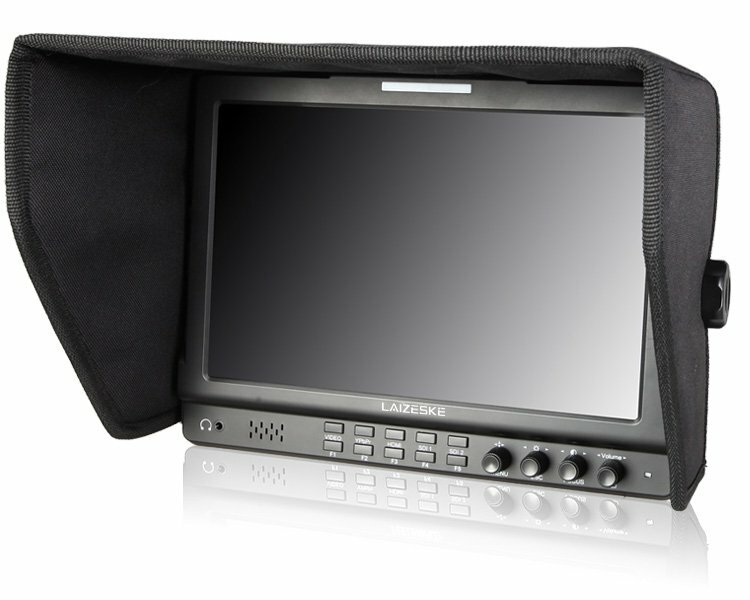 The monitor can be powered using included 12V supply or use standard 4-pin XLR. 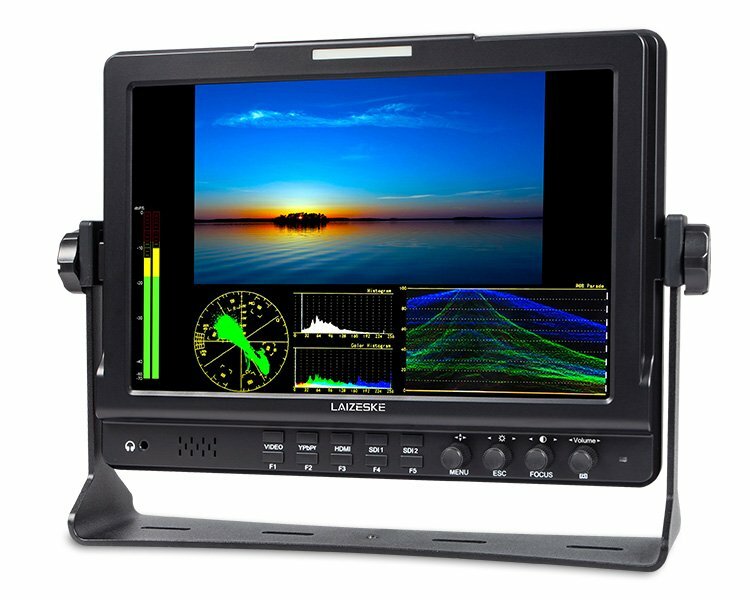 This mode shrinks your video image to approximately the size of a 7″ display and tiles your choice of vectorscope, histogram, and waveform on the border of your video. You can use this quantitative tool to check picture brightness. It shows the distribution of brightness in an image as a graph of brightness along the horizontal axis and a stack of the number of pixels at each level of brightness along the vertical axis. 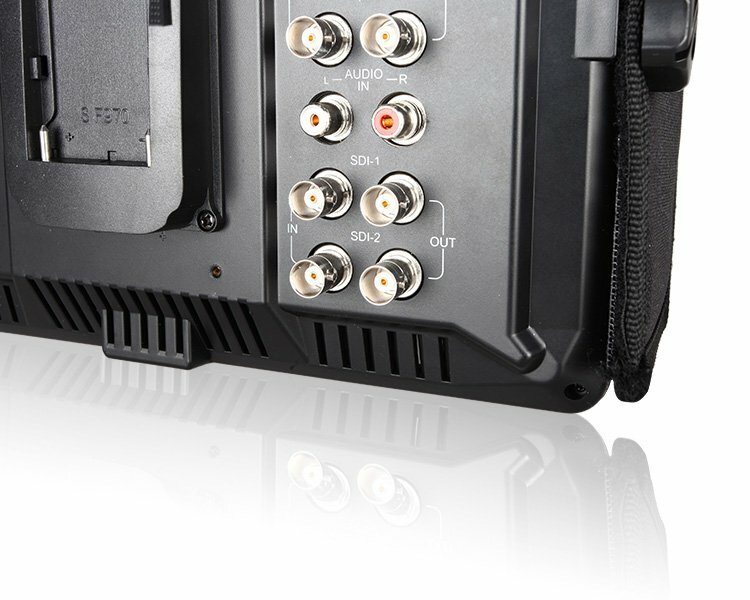 This essential feature assists with the calibration of professional video cameras. It shows the overall brightness of the image assisting the video professional in correcting exposure. The waveform feature also checks the evenness of the lighting when lighting a chroma key or background. Color histogram is a graphical display of the distribution of tones, shows the Red, Green and Blue channels in overlay histogram. 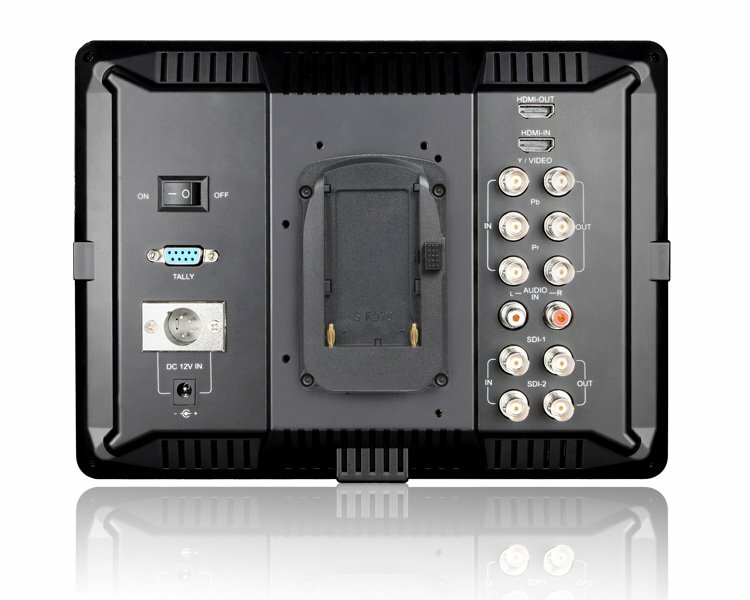 Suitable for HD-SDI and HDMI signal monitoring. The audio level meters provide numerical indicators and headroom levels, generating accurate audio level displays to prevent errors during monitoring. The audio meter is green initially but turns yellow and red when it exceeds -20 and -9 dB respectively. When the peaking filter is activated, the internal processor displays a colored highlight on the screen where sharp edges appear. You can switch the outline color between red, green, and blue, depending on the different tone of the subject. The false color filter helps set the camera exposure. As the camera iris is adjusted, elements of the image change color based on the brightness values. Used to assist in exposure adjustment in the zebra pattern mode, it is considered overexposed and displays the moving warning lines onto the overexposed areas. Adjust camera color settings using the check field mode, using red, green, blue, or mono pixels to generate the image. Hue and saturation can be adjusted quickly and accurately in this environment. You can use this colorbar to analyze monitor image color, adjust tone & brightness, and more. 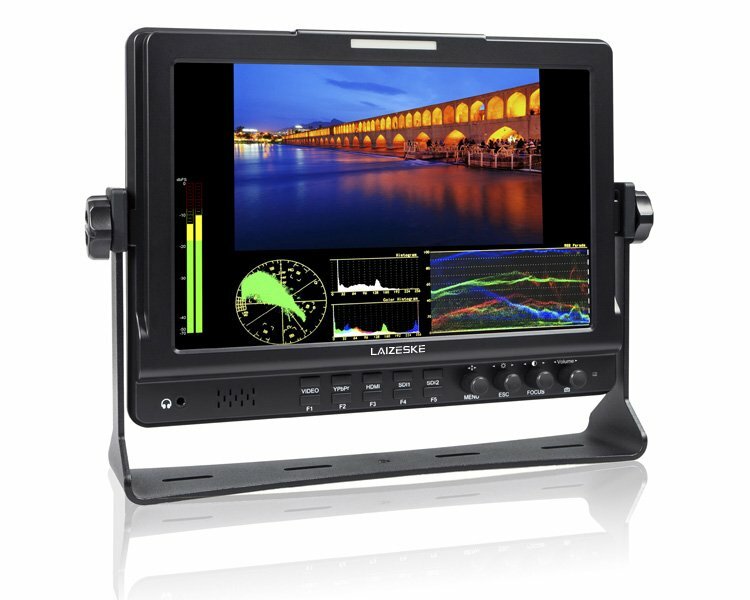 Image magnification retains HD signal in any part, an amplification for high-quality close-up. The built-in selection of no squeeze, 1.3x, or 2.0x allows you to use anamorphic lenses or adapters and see the image unsqueezed, even if your camera does not de-squeeze in camera. The 2.0x mag mode magnifies the center of your image, allowing you to check the focus of your scaled image. This feature allows you to flip the image vertically, horizontally, or vertically and horizontally together. You can zoom one of the images to make it full-screen. You can switch the mark color between red, green, blue, white, and black, depending on the different tone of the subject. You can enable the filmmaker to check the image from the 1:1 signal source without scaling. Safely set up your shot with composition markers (80%, 85%, 90%, 93%, 96%, and 2.35:1). You can also switch the mark color between red, green, blue, white, and black. It has six colors options (Red, Green, Blue, White, Black, Gray).